H. C. Wormser, S. Elkin, "Synthesis of Pharmacology of Several Substituted Indole-3-carboxamide Derivatives", J. Pharm. Sci., 50: 976, (1961). 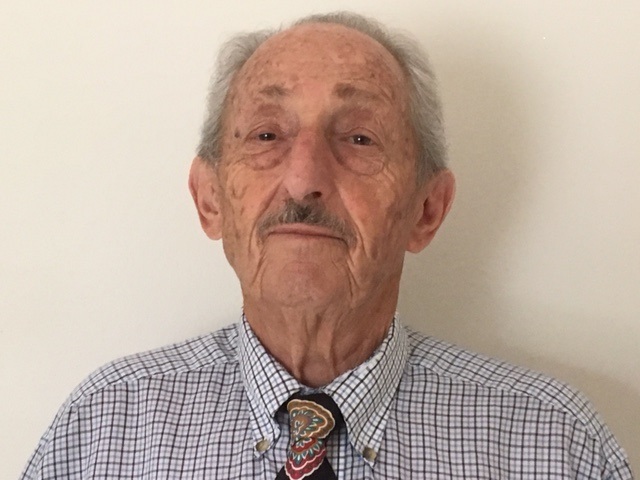 Henry C. Wormser, "Synthetic Approaches to the Pyrrolo[3,4-d]Imidazole Nucleus", J. Pharm. Sci., 58: 1038 (1969). Edward J. Randinitis, Martin Barr, Henry C. Wormser and Janardan B. Nagwekar, "Kinetics of Urinary Secretion of D(-)-Mandelic Acid and its Homologs. I. Mutual Inhibitory Effects of D(-)-Mandelic Acid and its Certain Homologs on Their Renal Tubular Secretion in Rats", J. Pharm. Sci., 59: 806 (1970). Henry C. Wormser, Santhong Israsena, Meredith S. Meiling, Craig Williams and D. Perlman, "Synthesis and Growth-Promoting Activity of dl-cis-Hexahydro-4-(4-carboxybutyl)-2-cyclopentimida-zolone: Carbobiotin", J. Pharm. Sci., 61, 1168 (1972). (4-carboxybutyl)-5-carbethoxy-cis-hexahydropyrrolo [3,4-d]imidazol-2-one: N-Carbethoxyazabiotin", J. Pharm. Sci., 64: 1514 (1975). Bisnorazabiotin", J. Pharm. Sci., 64: 1882 (1975). substituted 3-Pyrrolines to their Corresponding Pyrroles in the Solid State", J. Heterocyclic Chem., 13: 113, (1975). J. Pharm. Sci. 66: 1208 (1977). M. D. Glick, Henry C. Wormser and Hanley N. Abramson, "Crystal and Molecular Structure of (+)-Azabiotin Hydrochloride, The Nitrogen Analog of Biotin", Acta Crystallogr., B33, 1095 (1977). Nectriapyrone", J. Heterocyclic Chem., 18, 363 (1981). D. L. Vesely, Hanley N. Abramson and Henry C. Wormser, "Biotin Analogs Activate Guanylate Cyclase", Molecular and Cellular Biochemistry, 60: 109 (1984). Joseph P. Nachtman, E. T. Roginski, Jon W. Banning, Henry C. Wormser, Hanley N. Abramson and T. H. Corbett, "DNA Binding, Cardiac Superoxide Production and Cytotoxicity of Daunomycin Analogs", Research Communications in Chemical Pathology and Pharmacology, 47: 73 (1985). Glucosaminosides and Studies on the Influence of Hydroxyl Substitution on Superoxide Generation, DNA Binding, and Antimicrobial Properties," J. Med. Chem., 29: (1986). Michael T. Furlong, Hanley N. Abramson, Nnaemeka A. Akamike and Henry C. Wormser, "Approach to Aminated Anthracyclines via an intramolecular Marschalk Reaction", Synthetic Communications, 20: 2691 (1990). Henry C. Wormser, Manik S. Sardessai, and Hanley N. Abramson, "A Facile Method for Preparing Substituted 1-Aminoanthraquinones",Synthetic Communications, 23(22):3211 (1993). Manik S. Sardessai, Henry C. Wormser, and Hanley N. Abramson, "Synthesis of Aminated Naphthacenetriones: Precursors to Aminated Anthracyclines" Synthetic Communications, 23(22):3223 (1993). Henry C. Wormser, "O-T-C Poison Ivy and Poison Oak Remedies", J. APhA, 7, No. 2 (1967). Henry C. Wormser, "Oral Contraceptives", Michigan State Pharmaceutical Association Continuing Education Lectures, Manual for 1966-67, Lansing, MI. Henry C. Wormser, "Over-the Counter Poison Ivy and Poison Oak Remedies", Cutis, 4, 730 (1968). Hanley N. Abramson and Henry C. Wormser, "Migraine", The Michigan Pharmacist, Jan., 1972, p. 14. Pharmacist, March, 1972, p. 13. Pharmacist, May, 1972, p. 14. Henry C. Wormser and Hanley N. Abramson, "Bronchial Asthma - Part I", The Michigan Pharmacist, Nov., 1972, p. 23. Hanley N. Abramson and Henry C. Wormser, "Drugs and Pregnancy - Part II", The Michigan Pharmacist, Nov., 1972, p. 23. Hanley N. Abramson and Henry C. Wormser, "Drugs and Pregnancy - Part III", The Michigan Pharmacist, May, 1973, p. 24. Lippincott's Hospital Pharmacy, 8: 1 (1973). Antilipemic Agents", The Apothecary, April, 1974, p. 26. Henry C. Wormser and Hanley N. Abramson, "A Review of Digitals Therapy", U. S. Pharmacist, 2, 50 (1977). Henry C. Wormser and Hanley N. Abramson, "Controlling and Treating Pinworm Infestations", U. S. Pharmacist, 4, 61 (1979). Hanley N. Abramson, Henry C. Wormser and M. Taylor-Wehr, "Therapeutic Uses of Oral Zinc", U. S. Pharmacist, 4, 61 (1979).